Murray Bookchin “died in 2006 a disappointed man,” said Janet Biehl, the author of Ecology or Catastrophe: The Life of Murray Bookchin. At the time of his death, his dream of social revolution had failed to materialize. Montreal publisher Black Rose Books recently hosted three book launches from Nov. 10 to 12 for the biography of the founder of the field of social ecology and longtime revolutionary theorist. Social ecology is a social theory that considers environmental problems as rooted in social issues. The first launch at McGill was organized as a presentation by Biehl, who was Bookchin’s editor for the last two decades, as well as his close friend. Despite the biography—the first ever written about Bookchin—being published by Oxford University Press, Dimitrios Roussopoulos, founder of Black Rose Books, helped with the launch. This was in part because of his friendship with Biehl, as well as his admiration for Bookchin, whom Black Rose previously collaborated with. Only around 25 people showed up, but Roussopoulos mentioned early on that this was “not reflective of how much McGill students care about making change.” He cited the student body’s help in creating the Montréal Urban Ecology Centre, a group that works toward a greener Montreal and operates on Bookchin’s principles of social ecology. Roussopoulos also mentioned that the decision to host the final French-language book launch at UQAM on Thursday was partially due to GRIP-UQÀM, the university’s public-interest research group, which was founded explicitly on social ecology. 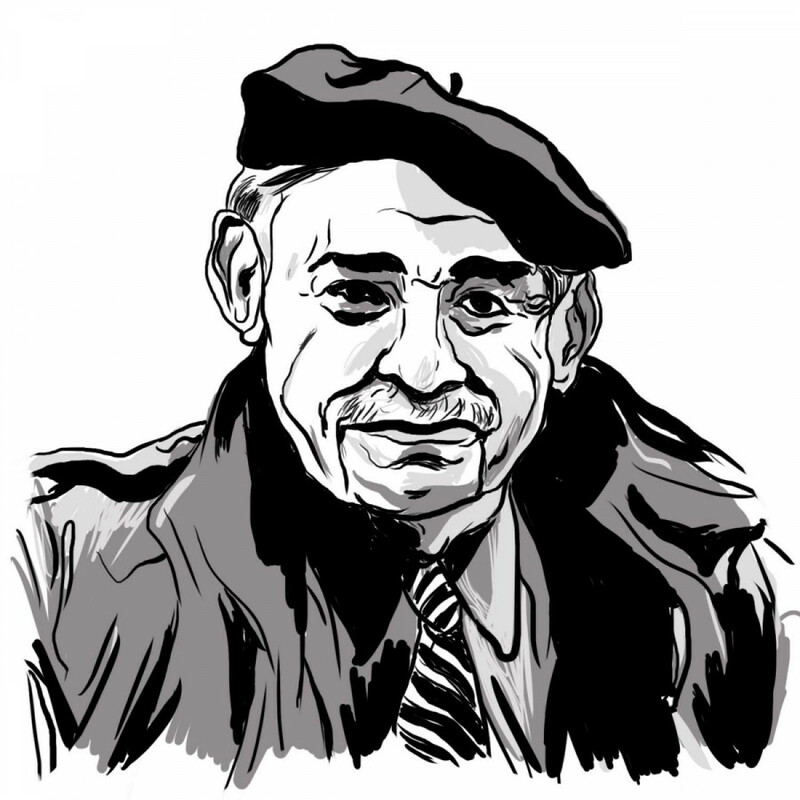 Born in New York City in 1921 to Russian- Jewish parents, Bookchin was raised as a revolutionary. Biehl described his identity as being “socialist first, Russian second, Jewish third.” He immersed himself in the growing revolutionary spirit left in the wake of the Depression decade of the 1930s, building skills as an orator and a writer. As time went on, Bookchin broke with the Marxist left, and began to gravitate towards environmentalism in the late 1950s—mostly due to concerns over pesticides being used on food. “He saw this as happening because of how large-scale and centralized farming had become,” Biehl explained. “And then he started formulating the same critique of cities and political units.” Decentralization of power became his new project, and with that he began to gravitate towards anarchism. By the end of the 1950s, Bookchin was looking to realize structures that could carry out this decentralization. “He was really inspired by ancient Greece’s face-to-face democracy,” Biehl said. She continued that this was despite the fact that it was an “incomplete” democracy, largely due to the marginalization of anyone who wasn’t a male with property. “He wanted to find a way to implement [assembly democracy] universally,” Biehl said. Bookchin imagined that if everyone at the local level had to debate and vote on whether or not to scrap their own environment, it would never happen. He began to organize people towards this idea, which he termed libertarian municipalism. As the first Earth Day came around in 1970, people began to embrace his ideas. The movement for direct democracy saw gains in cities such as Burlington, Vermont—where Bookchin lived at the time—and Montreal. The Montreal Citizens’ Movement made major progress in the election of 1974 on a Bookchin-inspired platform, shaking the seemingly unstoppable political machine of then-mayor Jean Drapeau. But the movement was “largely co-opted by the politicians,” who took most powers away from neighbourhood assemblies. Bookchin died in 2006 at the age of 85. “I wish he had lived another ten years,” Biehl said. In the years since his passing, his works found an unlikely audience in the Kurdish population of northern Syria, which the Kurds call Rojava. The Kurds have undergone a full-scale social revolution since the beginning of the Syrian civil war, and have based that revolution on a tweaked version of Bookchin’s ideology. “Murray used to say that ‘there is no substitute for consciousness,’” she remembered. The Kurds, who Biehl said “read Bookchin as part of training in their armed forces,” have deep convictions about making their project work as an ecological, anti-state, anti-capitalist and pro-feminist movement. These convictions, she said, give the revolution lasting potential.